Living off the land sounds as inviting as Christmas dinner, but many have hardly had adequate experience being “farmers.” In fact, many have had no experience at all when it comes to planting anything. That being said, the day is slowly approaching where each of us may have to trade in our company identification badges for a shovel and a pair of overalls. 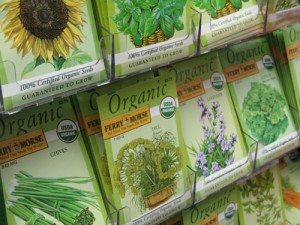 Educating yourself on farming topics, such as mirco farming, planting for the seasons, natural insect repellents, seed collection and seed storage could help prepare for an upcoming economic crisis. 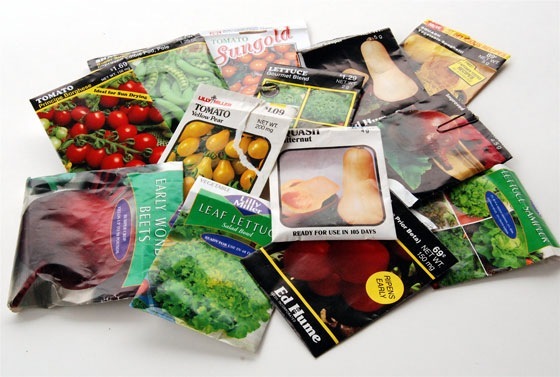 Learn about how many vegetables or fruits the plant will yield. It is truly an experience when it comes to the first garden, and the plants have many things to teach. The only way to be fully prepared as far as growing plants is concerned, is to practice, practice, practice. If the economy takes a turn for the worse, then the gardening knowledge and skills acquired from practicing will come into play at this time. Initially, when beginning to plant a garden, start small and work your way up. Have a small garden plot or do container gardening if you are short on space. Make sure the seeds that are purchased are heirloom or non-GMO varieties. The seeds from these varieties will continually produce as opposed to hybrid varieties that will only produce for one season. With each gardening experience will come more wisdom on how to handle a larger garden. When researching what types of fruit and vegetables will be grown, think about what your family will need for an entire year. Keep in mind that if you are lucky enough to have any livestock, grains and grasses will be needed to be grown for them to consume as well. Any size family will have to have multiple plants. One plant per family member would be essential if you had a small hobby garden. You must think on a larger scale. You are planting a survival garden, and this is exactly what it means – to survive. Plant enough plants to have for food as well as to have something left over for canning and preserving for the winters. These seeds were chosen based upon their yield quantities, ease in growing*, nutritional content and for the season they are planted in. *Beans – Beans should be planted in the early summer. One of the easiest vegetables to grow. Beans have different varieties, such as pole beans and bush beans, kidney beans, etc. Pole beans begin and end earlier than bush beans. In comparison, pole beans give a high yield production. A stake is needed for the pole beans. Staggering your plantings will give continuous yields. Beans are very high in fiber, calcium, Vitamins A, C and K.
*Broccoli – Plant seeds in mid to late summer to be ready for the fall harvest. One of the easiest vegetables to grow. This plant has a tendency to give yields past it’s first harvest and can take light frost with no problem. Broccoli is a good source of protein, Vitamins A and K.
*Lettuce – Plant two weeks before last frost as well as in the fall, 6-8 weeks before the first frost date. One of the easiest vegetables to grow and one of the earliest crops to harvest. There are many different varieties that offer different nutritional content. This plant grows quickly and harvest can be extended by taking a few leaves at a time. Lettuce is packed with essential vitamins and proteins, iron and calcium. Vitamins such as A, B6, C, and K.
Okra -Plant 2 weeks after last frost. This vegetable has a variety of uses such as in soups, pickled or canned. High in vitamin A, K and folate, and calcium. *Peas – This is a winter loving plant that is resistant to frost. One of the easiest vegetables to grow. There are many varieties of the pea plant, such as shelling, snap, snow and sugar pod. Most varieties are fast growing. This is a good source of protein, fiber and has a good source of 8 different vitamins including vitamin A, B6, and K.
*Peppers- Grow after the last frost. There are many varieties of peppers as well as choices on if you want them to be hot or mild. Sweet peppers are one of the easiest vegetables to grow. The more peppers are harvested, the more the plant will produce. Peppers are high in Vitamin A and C.
Potatoes- Plant 4-6 weeks before last frost. One plant yields 5-6 young potatoes. Potatoes are high in fiber, Vitamin B6, Potassium and Vitamin C.
Pumpkin- Start pumpkin seeds in the late spring. Pumpkins require lots of room for the vines to grow. Pumpkins are packed with vitamins such as thiamine, niacin, Vitamin B6, folate, iron, Vitamin A, C and E.
Spinach- Spinach grows best in cool weather. However, there are some varieties that like warm weather. Many call this a super food based upon it’s large array of vitamins such as Vitamin A, C, iron, thiamine, thiamine and folic acid. * Tomato- Plant tomatoes in the late spring and again in the late summer. 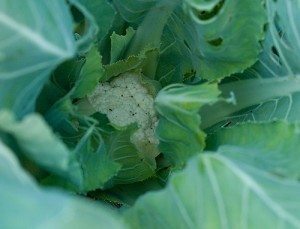 One of the easiest vegetables to grow. Tomatoes are a good source of Vitamin A, C, K, E, Potassium, thiamine and Niacin. Wheat- Winter wheat can be planted from late September to mid October. This is the preferred variety due to the nutritional content as well as the protection it gives the soil in the wintertime compared to spring wheat. Spring wheat is planted in early spring. This is one of the most commonly used food crops in the world. Wheat is high in copper, zine, iron and potassium. Planting a 10×10 plot will yield between 10-25 loaves of bread. Other seeds to take into consideration are crop cover seeds such as hairy vetch or clover. These crop covers loosen up soil as well as gives the soil nitrogen to feed the plants for the next season. These crop covers are also food for livestock, such as cattle, sheep and rabbits. When the crop cover is mowed, the cuttings can be used as a natural mulch.